When we travelled to Sunny Beach in 2005, it was winter, and instead of tourists the place was busy with workers getting everything ready for tourist season. 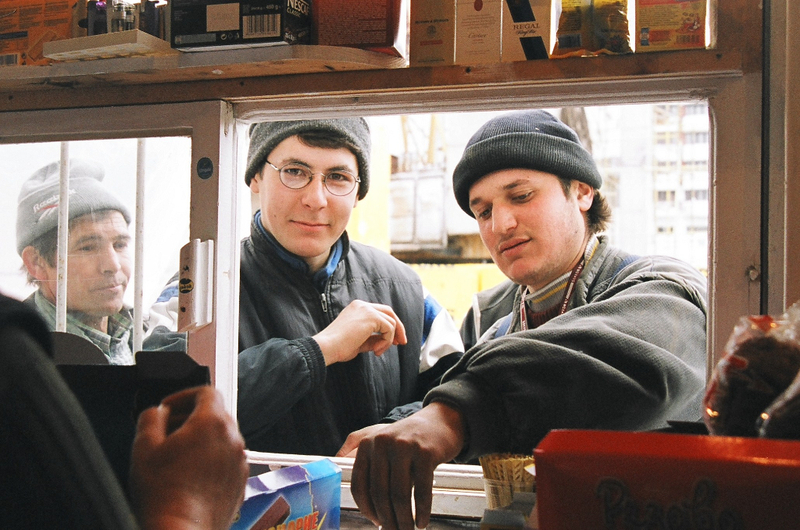 The first photo shows workers standing in line for coffee and sweets at a small coffee stall outside one of the big construction sites. 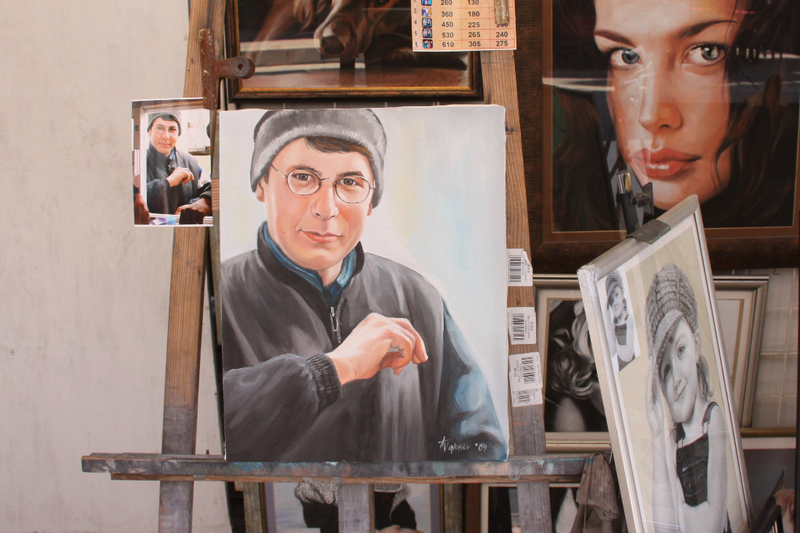 The second photo, taken in 2009, when we returned in summer, shows the portrait – in oil – of one of these workers, painted by Anatoli Vanchev, one of the artists painting tourist portraits on Sunny Beach’s “Artist Street”. The first journey was made for the performance Sunny Beach Project (Ladnar/Pilkington/Wimberley), the second as part of geheimagentur’s project Getaway Gala.